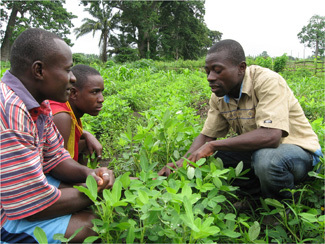 Currently, about 70,000 small farmers participate through the Farmers ' Club in agricultural projects promoted by various members of Humana People to People (HPP). 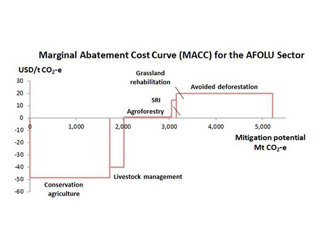 HPP is apposing up a tool from FAO United Nations Food and Agriculture, called FAO ExAct-tool, to measure the impact of these agricultural development projects on emissions of greenhouse gases and the CO2 capture, indicating its effects on the carbon balance, and thus mitigate against the consequences of climate change. This tool is based on a detailed knowledge of the climatic factors of each area, combined with the type of crop and agricultural methods, which allows to estimate the level of carbon benefits of the project in question. For this reason, HPP promotes 28 to January 31 at the headquarters of the Federation, in Shamva, Zimbabwe, a workshop, with the participation of several technicians from the FAO and representatives of various Farmers ' Club and Partnership Offices from Malawi, Mozambique, South Africa, Zambia and Zimbabwe. The objective of this seminar is to promote awareness of the FAO ExAct-tool for subsequent implementation in the Farmers' Club. Conservation Agriculture, and specially the use of compost, turns the improved soil into a carbon sink – the carbon is stored as organic materials in the soil, the reduction in slash and burn farming reduces carbon emissions, improved irrigation allows for new carbon reducing use of the land etc, etc. With the addition of these measurement methods response to the need to know to what extent the projects undertaken have a direct impact on the fight against the consequences of climate change will be given. The international community itself lends increased attention to who and how they work against this phenomenon, which is further proof of its importance.